Glasgow City’s Integration Scheme is available. The Integration Scheme was approved by the Cabinet Secretary for Health, Wellbeing and Sport and was laid before the Scottish Parliament on 8 January 2016. It came into force on 6 February 2016, and the Glasgow City Integration Joint Board held its first meeting on 8 February. A number of technical updates were made to the Integration Scheme in February 2018 as a consequence of other legislation passed by the Scottish Parliament, and the revised version was agreed by the Council and Health Board before being approved by the Scottish Ministers. More information on the Integration Scheme is available below. a number of other key agreements. 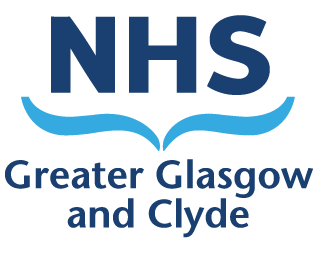 Within Glasgow City, Glasgow City Council and NHS Greater Glasgow and Clyde have adopted the devolved ‘body corporate’ model of Health and Social Care Integration. A separate legal body called the ‘Glasgow City Integration Joint Board’ leads on and has devolved responsibility for the planning and monitoring of community health and social care services within Glasgow City. Preceding the Integration Scheme’s formal approval, a range of groups of people were consulted on it to inform its development, as prescribed in the Act and associated regulations. Some of the groups of people included the Shadow Integration Joint Board (including non-voting stakeholder members), senior managers and staff within the Glasgow City Health and Social Care Partnership, partner organisations, NHS Staffside and recognised Trade Unions of the Council. Consultation took place between November and December 2014. Comments were also received from the Scottish Government following its initial submission in March 2015.